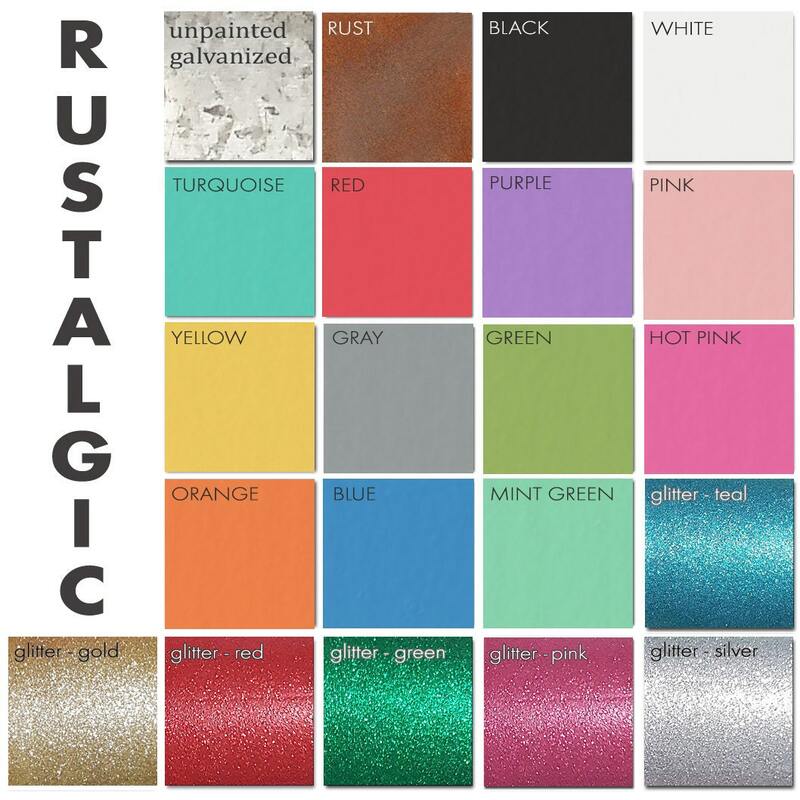 RUSTALGIC (rustic + nostalgic) Lighting up homes, venues & businesses WORLDWIDE! Unique, durable, affordable signage with a speedy turnaround time and a ridiculous amount of custom options! Corporate to quaint, we do it all, big and small! IT'S TIME TO ATTRACT THE ATTENTION YOU DESERVE! 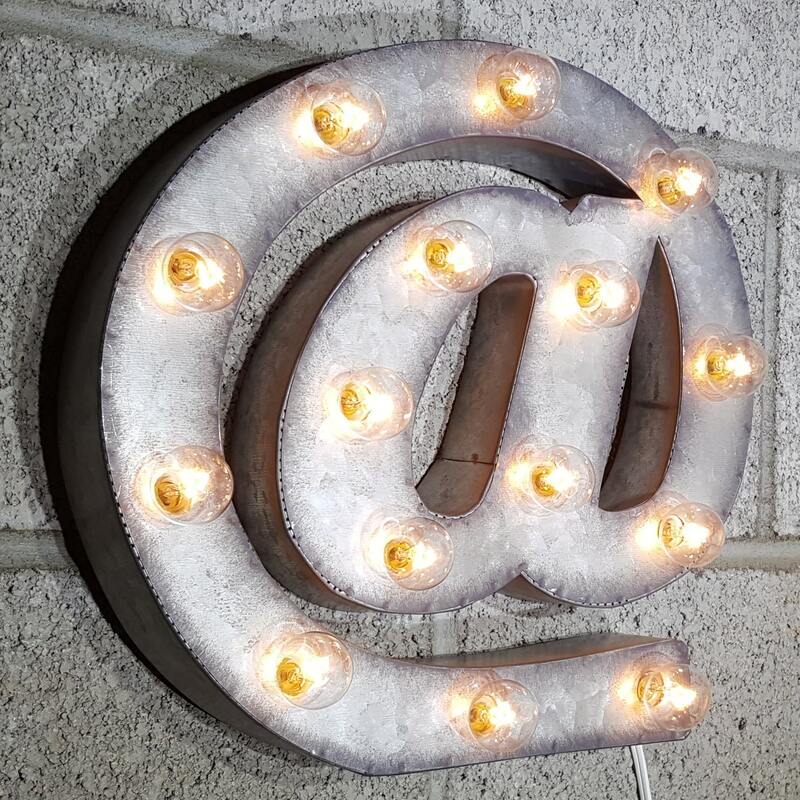 RUSTALGIC has been lighting up homes & businesses WORLDWIDE with unique and affordable signage with speedy turnaround time since 2005! OPTIONS OPTIONS OPTIONS! * 21 colors * outdoor use * indoor use * plugin * battery * solar * hang * free stand * wall mount* rustic (aged look) * modern (non-rustic new look) ... and more! Shop from our online product selection or contact us for something completely custom! Corporate to quaint, we do it all! * 2 day production time! * Good for both INDOOR and OUTDOOR use! * Made from sturdy welded sheet metal! * We DO NOT use pre-made string lights, like other do! * All bulbs shown plus 4 spare bulbs included per sign! * UL Approved (sockets, wiring & fused 2 prong plug). * Inset welded hooks on the back for easy hanging! * A generous 8 foot long white cord. * We carry additional spare bulbs, if needed in the future! CREATE ANY WORD OR PHRASE! We have the entire alphabet including symbols, "&" "#" "@"
Purchase multiple signs to create your own word or phrase. leaving just 1 plug to plug-in to the outlet! 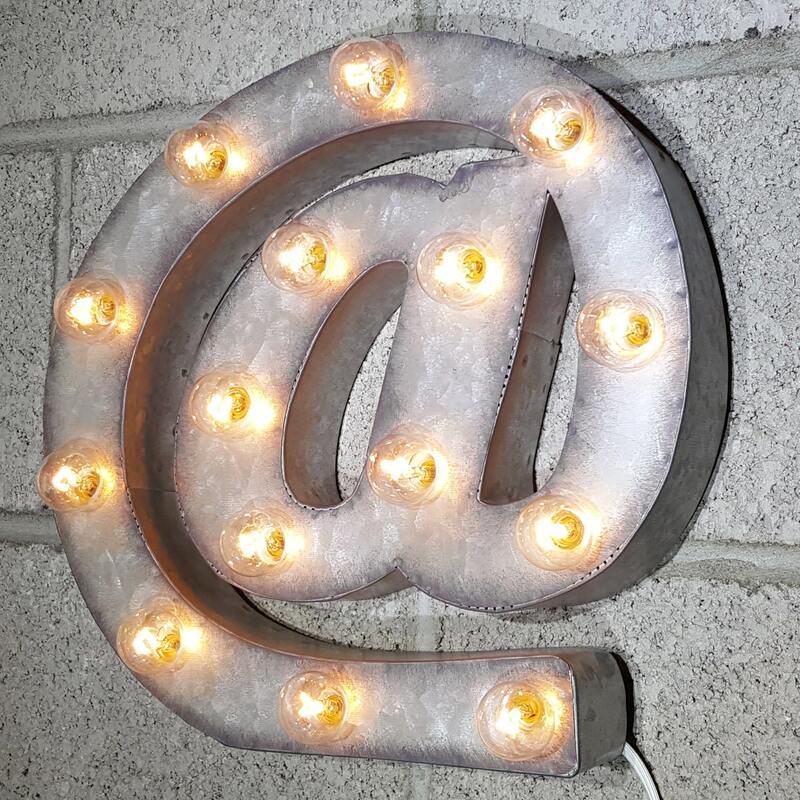 Our signs are dimmable, with the purchase of our optional dimmer. Our plugs are FUSED to protect your home circuit and your marquee sign. If you should ever need to replace your fuse, simply contact us! We offer additional spare bulbs as well, for your future purchasing. Need a specific color or finish? We can customize your color for an additional charge! vintage marquee letter from a nostalgic era! You may also choose the unpainted metal version! and can be dimmed with our optional dimmer sold separately. 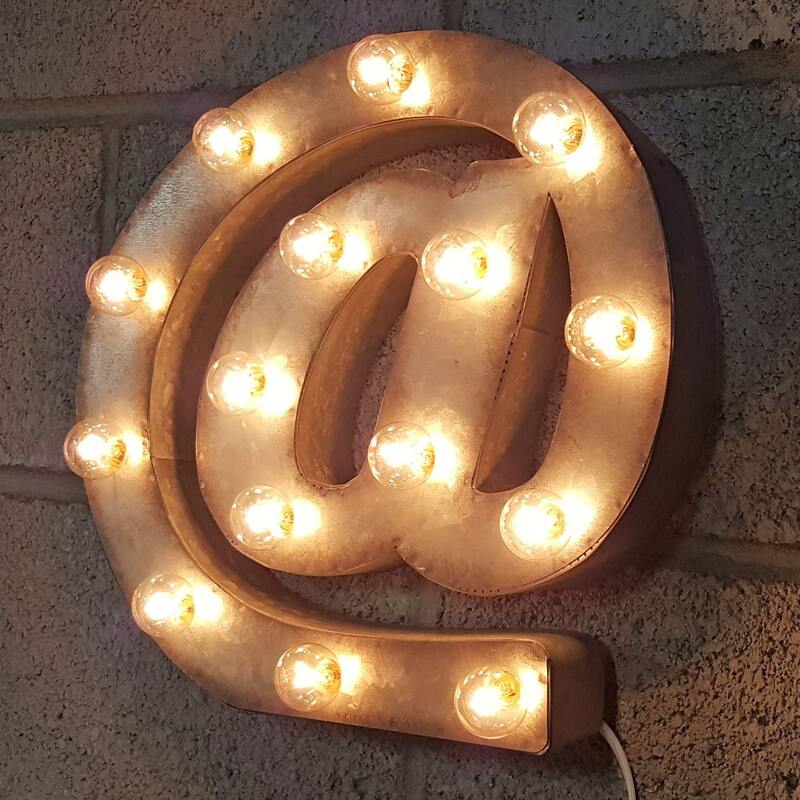 We include 4 extra bulbs with every letter ordered. Need more in the future? Visit our Etsy shop! 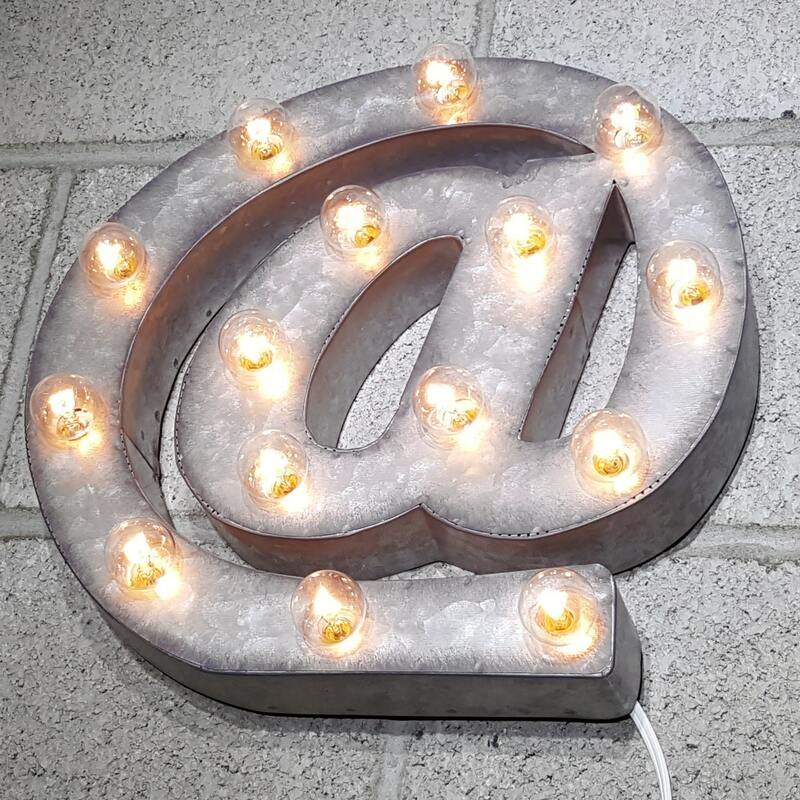 UNPLUG THE SIGN WHEN REPLACING THE BULBS! PLUG IT IN upon arrival! SHIPPING will be combined if ordering multiple letters. We ship USPS with tracking info. or Priority Mail (approx. 2 to 3 business days in transit). you will need a converter adapter. U.S. household 120 volt circuit. We carry the adapters, you may purchase from us. Do not prop up your light, it is intended to be mounted to a wall. Each light is assembled with care by hand and is thoroughly tested and inspected. All lamps and fixtures are made with UL listed or approved components. However, the combined fixture itself as a whole is not UL listed. It is the buyers responsibility to determine if the item(s) purchased are suitable and/or safe for their intended use, we advise checking with a licensed electrician or contractor before ordering and installing/hanging. The incandescent bulbs can get hot. Follow all standard safety precautions as you should/would with any electrical lamp with an incandescent bulb. Rustalgic is not liable for any damages caused by the misuse of these products. If there is an issue with your product, we will help you fix the issue or allow you to exchange the item.